The Eyre Peninsula Community Foundation enables the people of the Eyre Peninsula to proactively contribute to the long term benefit of our region by building community capacity, addressing local needs through charitable grant-making and encouraging philanthropy. 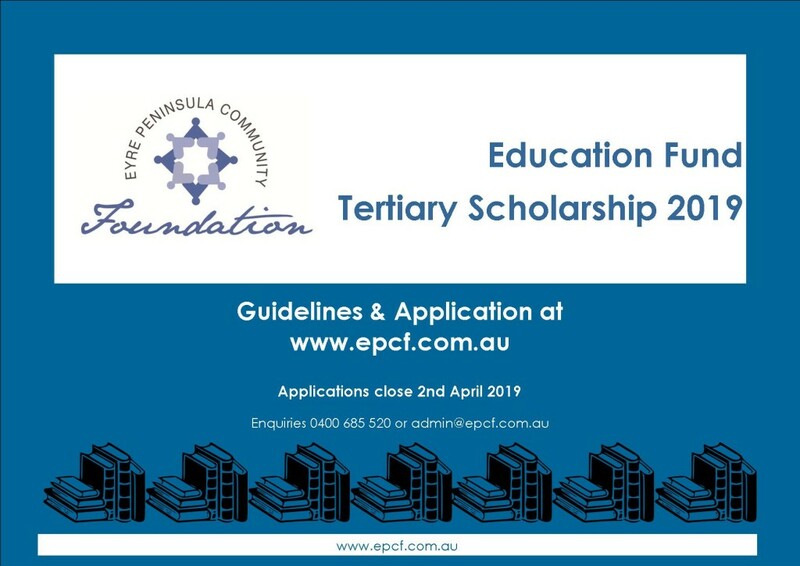 The Eyre Peninsula Community Foundation is making available three scholarships of $2000 each for EP students starting their first course at a South Australian university this year. Potential applicants must read the Scholarship Guidelines, then complete and submit the Scholarship Application Form. Applications close on 2 April 2019. The Foundation offers small grants of up to $2,000 each to community organisations. In 2019 a grant round will be held in September/October with successful applicants to receive their grants at the Annual General Meeting in November. The Board will also consider applications prior to the grant round for projects that are time critical and need to be funded prior to that round. The Board meets on the first Thursday of each month when any applications received will be considered. Please refer to the General Information for Applicants before completing and forwarding the Grant Application Form. A short documentary on the work of the Foundation has been prepared under the Community Voices program by Flinders University. The Eyre Peninsula Community Foundation (EPCF) wishes to partner with businesses and individuals that have a desire to support their local Eyre Peninsula (EP) community through philanthropy. The EPCF was incorporated in 2004 through the support of the Eyre Regional Development Board and a steering committee. A grant from the Foundation for Rural and Regional Renewal further assisted the establishment of a foundation on the Eyre Peninsula. In late 2008 a board of directors was appointed and an inaugural board meeting took place. Since then the Foundation has been working hard growing its corpus of funds to almost five hundred thousand dollars while forging exciting partnerships with businesses and charities. These partnerships have already delivered substantial benefits to the community with the Eyre Peninsula Community Foundation distributing in excess of fifty five thousand dollars to community groups right across the EP. 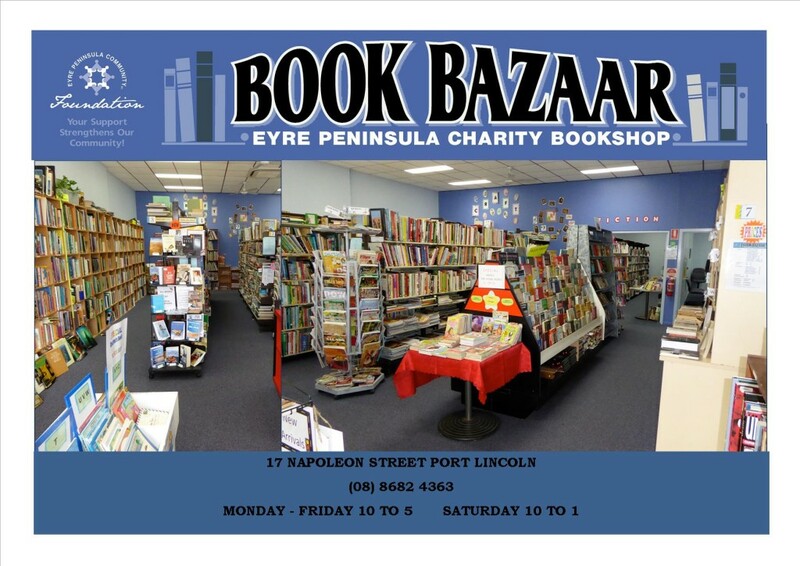 Please visit our latest initiative and support our Home Hospice program and the Foundation by patronizing our Book Bazaar. © 2019 Eyre Peninsula Community Foundation.